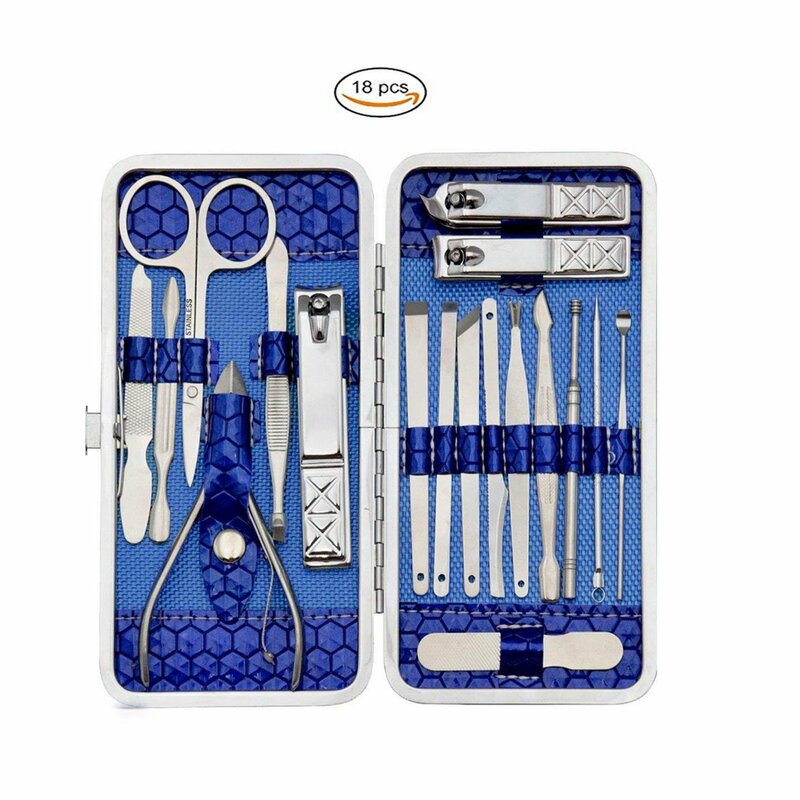 Have you been looking for a complete stainless steel manicure and pedicure nail clipper set that is both affordable and high quality? -DOROIM manicure kit has all and more! 1.Ergonomic design,curved knife edge fit nails. Each tool is manufactured by the careful process of cutting to make sure it suitable size to use more comfortable. 2.The blade of nail clipper is quenched and polished many times to make sure it smooth and sharp. Non-slip design,not easy to fall off. 3.Each tool is made of quality German high carbon steel.It was processed through alternate hot and cold technology to make sure corrosion-resistant,hard and durable. 4.Include 18 pieces nail tools for three functions must meet what you need, include hand care,facial care,foot care,tool cleaning brush.